Barcelona, Spain. January 9, 2015: ExoClick, the innovative ad network for the entertainment market, today announced that it has launched a brand new ad campaign for 2015. 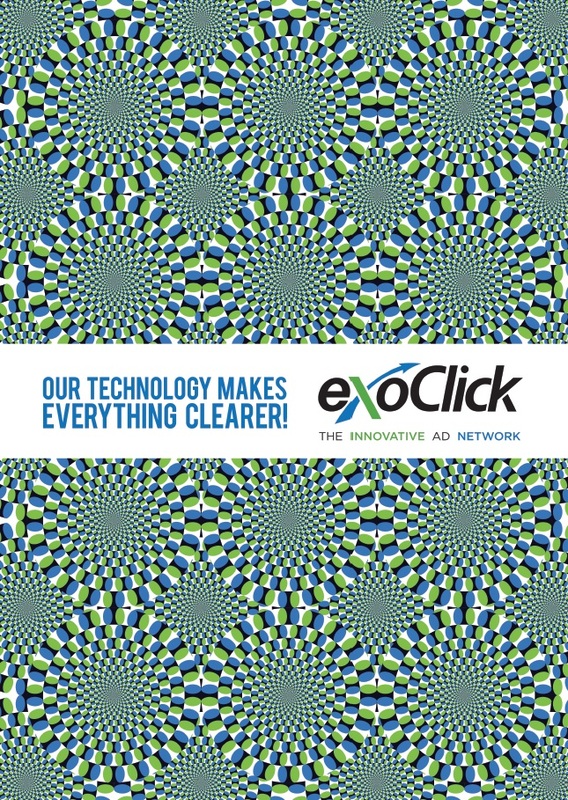 The advertisements feature optical illusion images to promote key features of ExoClick’s ad platform in an eye catching way. The first creative ‘Our technology makes everything clearer’ is set against a background of rotating spirals in the company’s corporate colours of green and blue and demonstrates the transparency of the platform’s statistical reporting for client advertising campaigns and publisher platforms. A second creative ‘Watch your revenues grow’ to launch in February, features an optical illusion background where flowers appear to be continually growing to demonstrate the earnings potential for clients that use the ExoClick platform.